Discover the momentous motorsports events that took place this weekend in history……. 1899: The Paris-Ostend race ended in a dead heat between Girardot (Mors) and Levegh (Panhard), when both completed the 203 miles in 6 hours 11 minutes (32.5 mph) – there was no possibility of a time keeping error as this was one of the few early races with a mass start (9 cars), and Girardot and Levegh crossed the line at Ostend racecourse wheel-to-wheel. 1929: The SA Scuderia Ferrari was incorporated primarily to manage the racing activities of Alfa Romeo. 1946: The first race under the new Formula One regulations, the Turin Grand Prix was won by Achille Varzi in an Alfa Romeo 158 Alfetta, although in reality the cars were no different to those that had raced earlier in the season. Formula One was first defined early in 1946 by the Commission Sportive Internationale (CSI) of the FIA, forerunner of FISA, as the premier single seater racing category in worldwide motorsport. It was initially known as Formula A, but the name Formula One was widely used early on and became official in 1950. In the beginning, the formula was largely based on pre-war regulations defined by engine capacity. The regulation was expected to bring a new balance between supercharged and normally aspirated cars. Non supercharged 4.5 litres pre-war Grand Prix cars were allowed to race against the pre-war 1.5 litres supercharged ‘voiturettes’ while pre-war supercharged Grand Prix cars were banned. 1952: Pole-starter Fonty Flock, wearing bermuda shorts and a short-sleeve shirt, led 341 of 400 laps, including the final 216, to win the third annual Southern 500 at Darlington Raceway, South Carolina, US collecting a winner’s check of $9,430. Flock’s Air Lift Special Oldsmobile was followed by four Hudsons. Johnny Patterson and Herb Thomas finished second and third, respectively, each one lap down. 1958: Fireball Roberts (cover image) took his fourth win of the NASCAR Grand National season at Darlington’s Southern 500, South Carolina (US). Roberts had won four of his seven starts during the 1958 ­campaign. 1960: The British Hot Rod Association (BHRA) was formed by the amalgamation of clubs like the Highwaymen with the intent of unifying Sprint Clubs and holding organised Drag Races at disused airfields like Duxford and Graveley. Brian Coole was chairman. 1963: The first Austrian Grand Prix was run at Zeltweg Airfield and was won by Jack Brabham, driving a Brabham-Climax, at 96.34 mph. In the following year the Grand Prix gained Championship status. This race marked the Formula One debut of 1970 World Champion Jochen Rindt, and also the only Formula One appearance of his compatriot Kurt Bardi-Barry, who was killed in a road accident in February 1964. 1980: Sophomore driver Terry Labonte scored his first NASCAR Winston Cup Grand National victory in the Southern 500 at Darlington, South Carolina, US. Labonte came from fourth to first when a crash wiped out the three leaders in the closing laps. 1985: Stefan Bellof (27) was killed at the 1000 km Spa sports car race, when he tangled his Walter Brun-entered Porsche 956 with Jacky Ickx’s works 956 at Eau Rouge corner, with both cars catching fire and halting the race. Bellof was pronounced dead one hour later at the circuit’s medical centre. 1991: Harry Gant (51) won the Heinz Southern 500 in Darlington, South Carolina (US), to extend his record as the oldest winner of a NASCAR race. 2003: Cornelius Horan, the former priest who ran on to the track during the British Grand Prix at Silverstone, was released from custody after six weeks on remand. The former priest believed that God protected him and the drivers when he was on the track. He also said that he would not have conducted his protest but a gate leading to the track had been left open – and that this represented a signal from God that he should invade the track. 1946: George Robson, winner of the 1946 Indianapolis 500, died from injuries suffered the previous day when he crashed during a race at Lakewood Park in Atlanta, Georgia, US. 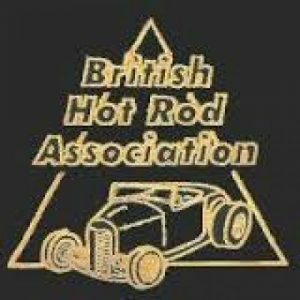 1950: Mike Hawthorn, driving a Riley Nine, won the 1,100 cc class at the Brighton Speed Trials for his first racing victory. At the same event, Raymond Mays, driving a 2-litre ERA, won the standing-start kilometre event – the last sprint event of his career. 1956: Argentinian Juan Manuel Fangio seemed to have lost his 1956 championship chances in the final round at Monza when his Ferrari suffered terminal engine and suspension damage in the Italian Grand Prix. However, British driver Peter Collins, in a remarkably selfless gesture, gave his car to his teammate, allowing Fangio to finish second and clinch his fourth world title just three points ahead of Briton Stirling Moss, who was destined never to win the World Drivers Championship – he finished runner-up four times in a row from 1955 to 1958. 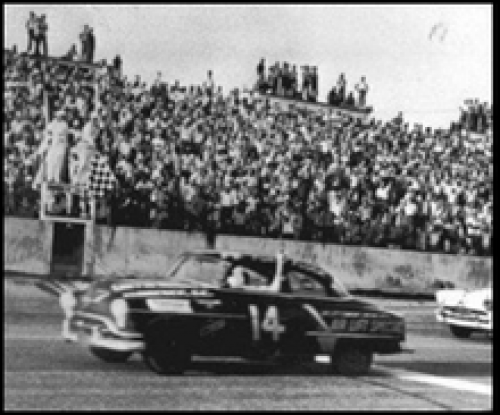 1957: Speedy Thompson won the Southern 500 held at the Darlington Raceway, South Carolina, US averaging 100.094 mph. The race car drivers still had to commute to the races using the same stock cars that competed in a typical weekend’s race through a policy of homologation (and under their own power). This policy was in effect until roughly 1975. By 1980, NASCAR had completely stopped tracking the year model of all the vehicles and most teams did not take stock cars to the track under their own power anymore. It was the first Southern 500 to average better than 100 mph. 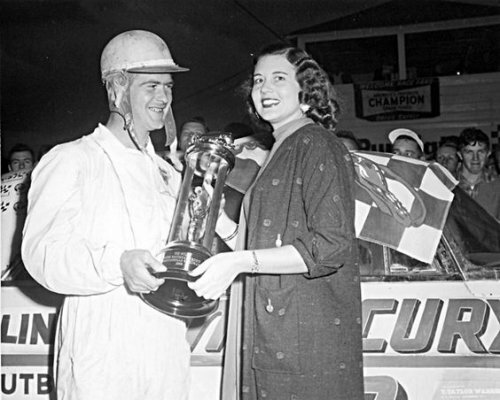 Bobby Myers was fatally injured in a three-car crash on the 28th lap. Thompson drove the iconic 1957 Chevrolet during that race; that vehicle went on to win the 1958 and the 1959 runnings of the Southern 500. Owens acquired the pole position with a speed of 117.416 miles per hour (188.963 km/h) during the qualifying session, however, due to the abundant amount of clean air created by driving solo. T.A. Toomes received the last-place finish due to a problem with his brakes on lap 3 out of 364. Bobby Myers lost his life as a result of a race-related crash; Fonty Flock and Paul Goldsmith was also involved in this accident. George Parrish made a notable appearance in this race using a 1956 Studebaker Golden Hawk; he witnessed the fatal crash of Bobby Myers at an extremely close range. Since he had two children living at home with his wife, Parrish decided that the risky world of NASCAR racing wasn’t for him and retired after the 1958 NASCAR Cup Series season. As a rookie, Cale Yarborough made his NASCAR debut here and finished in 42nd place (out of 50 drivers). Fonty Flock retired after this race. 1963: Donna Ma Mims, driving an Austin Haley won the Class H Production Race in Thompson, Connecticut, US to become the first woman to win a SCCA Class Championship. 1969: Willy Mairesse, race-car driver for the Ferrari team, died in Ostend, Belgium, from an overdose of sleeping pills. His career had been a continuing disappointment, with zero wins from 12 grand prix starts and only seven points. He left the Ferrari team in 1963 and was only 40 years old at the time of his death. 1984: Harry Gant rolled from the pole position, leading 277 of 367 laps to score the first of his two Southern 500 triumphs at Darlington Raceway, South Carolina, US. Gant, who won four times at the Lady in Black, edged runner-up Tim Richmond by two seconds at the finish. Buddy Baker came home third. 2001: Michael Schumacher broke Alain Prost’s record of race wins to become the most successful race winner in the history of Formula One. Schumacher took the lead after half a lap and went on to win from David Coulthard and Giancarlo Fisichella. Despite his record breaking victory, the race will be remembered for a massive accident involving Luciano Burti and Eddie Irvine in the fast left-hander before Blanchimont, Burti’s Prost losing its front wing and smashing into the tyre wall at speeds approaching 150mph.